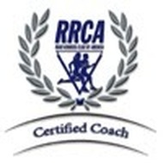 Over the past 25 years, Coach Ron has worked with a wide range of athletes: Olympic Trials hopefuls, regional runners, masters runners, high school athletes, beginners and ultra runners. All had the common goal of becoming the best runners they could be. Coach of many beginning runners with goals of racing their first 5K to marathon, along with seasoned runners looking to run new personal bests. Coached one of the largest fundraising marathon training groups for three seasons. Coached Kelly Brinkman training for the USA 2016 Olympic Marathon Trials. Kelly was 3rd overall at the USA 1/2 Marathon Championships in June, 2013. Also named USATF MN female runner of the year. 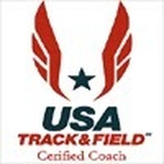 Coached Melissa Gacek, named USATF MN female age group runner of the year.